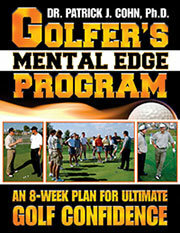 The Golfer’s Mental Edge CD and Workbook program is ideal for any amateur, collegiate, junior, or tour professional golfer, as well as golf coaches or instructors. 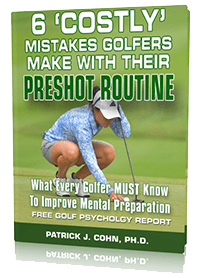 This program is perfect for high-level golfers who want to improve their performance and consistency by learning the secrets to better focus, confidence, and composure. If you can putt or chip well on the practice green, but can’t take it to the course, this is a mental game issue and not a physical challenge. 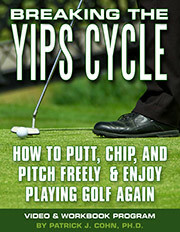 Breaking The Yips Cycle Video and Workbook program is ideal for any amateur, collegiate, junior, and tour professional golfer.